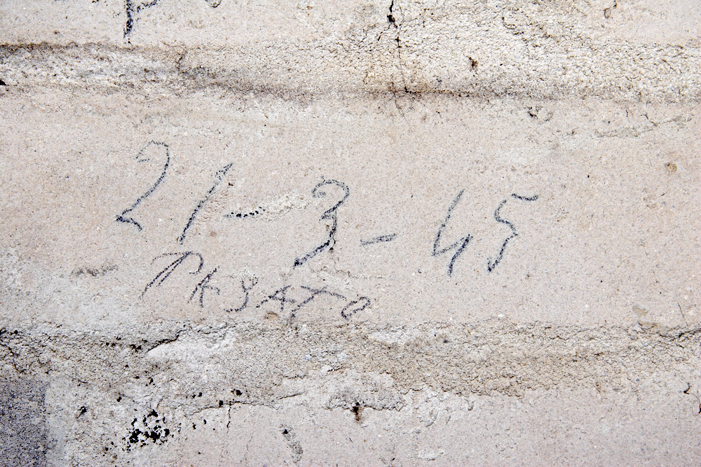 Note of an Italian military internee in the air-raid shelter of "Barracke 13". 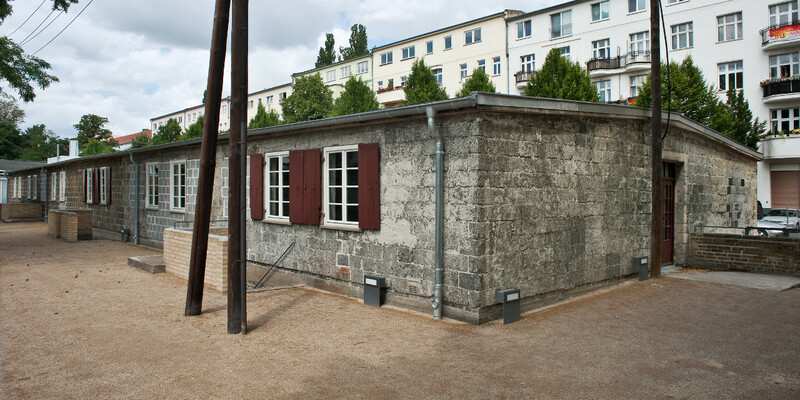 Barrack 13 was one of the first buildings of the camp to be erected from 1943. Between 1944 and 1945 it housed Italian military internees and civilian workers. 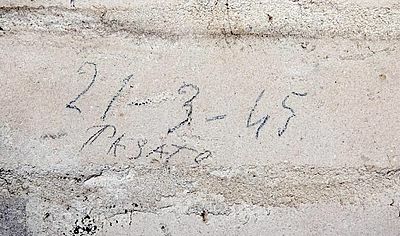 Numerous inscriptions with names and dates bear witness to this, which can be seen in the basement of the building. The exhibition can only be visited on guided tours and on special opening days. Multilingual audio guides are available. For groups and school classes, we offer free guided tours of the permanent exhibition including a tour of Barrack 13. Public tours in German take place every first and third Sunday of the month at 3 pm. Participation is free of charge. After the end of the war, the Red Army used the barracks for a short period of time as a material store. In the following years various workshops moved in. Among other things, the Volkseigene Betrieb (VEB) Kühlautomat maintained a training workshop here. From 2003, the building was used to store antiques and building materials. In spite of the different subsequent uses, this barrack shows the most traces from the Nazi era compared to the others. 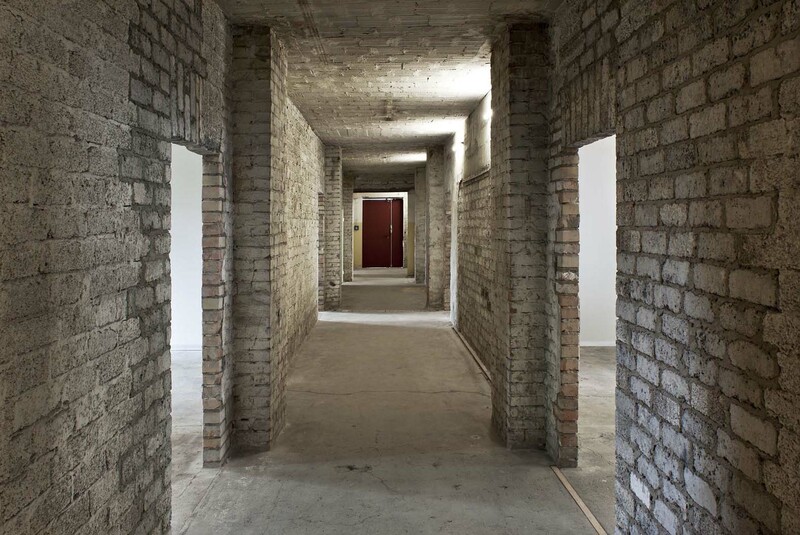 It was therefore taken over by the Nazi Forced Labour Documentation Centre in 2008 and carefully restored and conserved as an accommodation barrack. In addition to the historical inscriptions in the cellar, quotations from forced laborers illustrate their everyday life situation in the camp, which was marked by narrowness, hunger, lack of hygiene and despair.